As a customer purchasing products from an unknowingly website using Zendesk as only means of communication and scamming hundreds of people charging One Vanilla Visa Gift Cards and all communication stops once they take your money. One of the Top Websites working hand and hand with Zendesk us Chris-Pharna.net. The only human that responds to take your money and stops all correspondence is marissacooper1985@gmail.com. Folks…. don’t believe she’s female we don’t know what it is. Their IP addresses and servers all out of RUSSIA. I alerted Zendesk that they are being used as the method of communication and when we ask the Zendesk Chat for our shipment…nobody responds. Zendesk didn’t care at all, never responded to my emails, and after calling them said they can’t help which means they are a participant in allowing Websites to use their products to scam innocent customers. Pros: It pops up instantly to chat when customer is shopping. Cons: Zendesk is used by numerous websites scamming people out of their money on Gift Cards etc. First of all I was told that I would get phone calling in all agents at the same time – never happened! Finally, I had my phone off working for 4 days and I didn´t get any feedback from support! I had made an annual plan and now Zendesk says will not refund me!!! With their foundation dating back to 2007, Zendesk is well known for their unique Helpdesk software. With a platform that enables businesses to provide online ticketing for customer service across various channels, Zendesk quickly rose as the top choice for the Helpdesk industry. Since its inception, Zendesk has continued to grow out their existing Helpdesk solution, and continues to lead the helpdesk software industry. But to truly offer a complete Helpdesk solution, Zendesk has expanded to introduce their Zendesk Talk call center software since 2011. Moving beyond a single CRM provider, a separate Call Center Provider, and then on top of it all another Business VoIP provider, Zendesk can offer everything under one roof. Overall, Zendesk Talk can enable your business to leverage both a leading Helpdesk solution, that now can be paired with a fully integrated call center solution built right in. 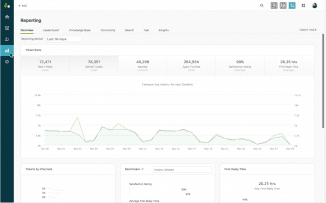 Zendesk Talk can help your business to improve customer experiences, boost productivity of agents, as well as arm your call center with the right tools to track, measure and improve. Despite the recent craze for an omnichannel experience, phone support still stands as the number one choice for both customers, and even agents. Phone support allows for a personalized, yet quick and complete support. But current call center solutions are otherwise silo’d, and sit separate from the rest of the CRM or Helpdesk platform. The old style of call center organization, with a phone, an office line, and a separate call center solution simply leads to a less productive contact center. Zendesk Talk’s goal is to bridge the gap between those silos, and allows your business to deeply integrate the usual and expected call center features with Zendesk’s already capable and powerful Helpdesk platform. While the focus for Zendesk Talk is on phone support, Zendesk recognized that text based support is also on the rise. So, whether your agents are handling support requests through voice phone calls, or SMS text messages, Zendesk Talk equips agents with the necessary tools to handle the job. Because Zendesk Talk is built right into the Zendesk platform, agents gain access to an entirely browser-based solution to answer or make calls without any extra hardware or equipment. 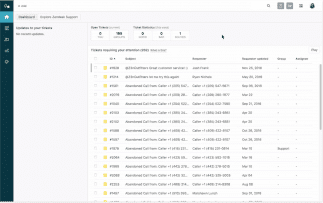 Zendesk can also automatically turn calls and voicemails directly into tickets for easy record keeping and issue resolution. 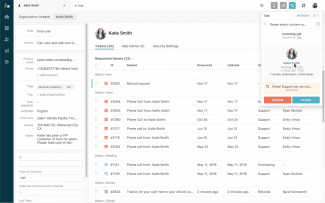 Zendesk has introduced a totally new basis of organization for a contact center, one that leverages both an already powerful and popular Helpdesk ticketing solution, deeply integrated with all the powerful call center features your business would need. Zendesk Talk allows any size business convert their support center into a professional Contact Center with the same features and presence that even biggest Enterprise solutions provide. Oh, and with the entire solution built on top of Twilio’s infrastructure, your business can have the piece of mind that a call or text message will never be dropped or lost. What Do You Think of Zendesk Talk?